We tell your story in 2 minutes or less! 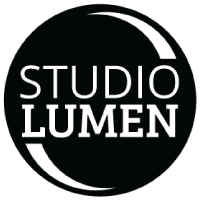 At Studio Lumen, we are passionate about getting to know people and their stories, and building those relationships helps us deliver imagery that truly reflects our clients. The process takes more than 2 minutes! But the results get to the core of your story in 2 minutes or less, right down to an instant in time, perfect for today's distracted world. All of our services are designed with that in mind, whether that's through a long term social media content creation contract, over 40 minutes while you relax and chat during one of our Headshots Experience Day, over a 3 hour personal branding project, or delving deep into your brand for a 'What's the Story' video. Our core areas of service are: Premium Deals, Custom and Promotional, and Branding. If you have a very specific idea in mind and would like a quote, or you already know what you need, please send us a note, and we will be in touch within a day to help you price it out. We'd love to hear from you, please get in touch!